High performance pump and motor set mounted on a 24 litre horizontal pressure tank. 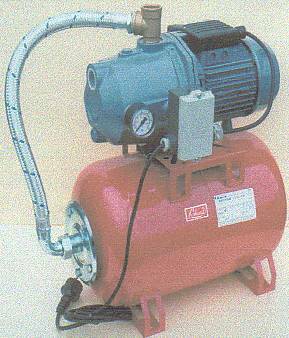 This pump is a smaller version of the Jet 220. It is self-priming, rugged and very suitable for many uses around the farm, including parlour washing, irrigation, water flow boosting and domestic systems. 1" bsp suction and discharge. A 1" foot valve/filter must be used on the suction side with this pump set. Click here to see the higher performance Jet 220 wash down system. 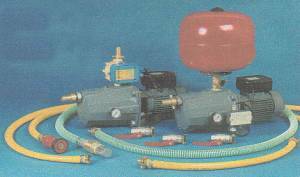 Click here for spare parts for Jet 220 and similar wash down pumps and systems. Click here to be taken to our secure site to purchase your Loheat Jet 100N online. You can also phone, fax or skype your order through to us. 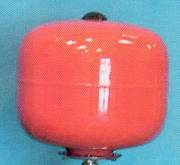 We can usually supply within seven working days from receipt of order.